1772-1836. He was born on 9 February 1772 at Kilkenny, Ireland, the second son of Colonel John Gore of the 33rd Regiment, who from 1776 until his death in 1794 was the lieutenant-governor of the Tower of London, and of his wife, Bellamira Munbee. His younger brother, Major-General Arthur Gore, was killed in action in the Netherlands during 1814, and his older brother was Lieutenant-Colonel Ralph Gore. In May 1781 Gore entered the navy aboard the Canada 74, Captain Hon. 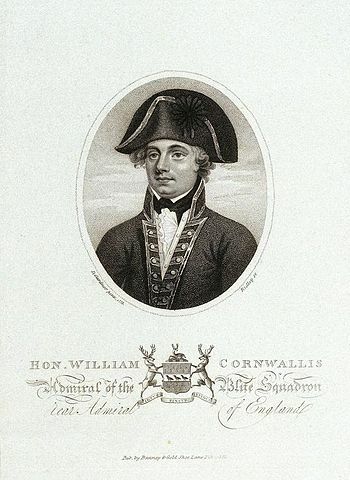 William Cornwallis, and he served in North America and the West Indies, being present at the Battles of the Chesapeake on 5 September 1781, St. Kitts on 26 January 1782 and the Saintes on 12 April, prior to returning to England at the end of that year. He moved briefly with Cornwallis into the Ganges 74 in January 1783, and from March 1783 until October 1786 served on the Jamaican station aboard the frigate Iphigenia 32, Captain James Cornwallis. His health being poor, he returned to England where he rejoined Captain Hon. William Cornwallis aboard the yacht Royal Charlotte, moving with him to the Robust 74 in October 1787, in which vessel he passed for lieutenant, and then joining the frigate Hebe 38, Captain Edward Thornbrough. In October 1788 Gore was appointed to the Crown 64, Captain James Cornwallis, sailing for India in February 1789 with the broad pennant of Commodore Hon. William Cornwallis, and on 26 November he was commissioned lieutenant of the frigate Perseverance 36, Captain Isaac Smith. Once more his health broke down and two years later he returned home from India aboard the Crown. In December 1792, by which time his health was restored, he joined the frigate Lowestoffe 32, Captain William Wolseley, sailing out to the Mediterranean in May 1793, where in rapid succession he moved to the Britannia 100, Captain John Holloway, flagship of Vice-Admiral William Hotham, and the Victory 100, Captain John Knight, flagship of Vice-Admiral Lord Hood. 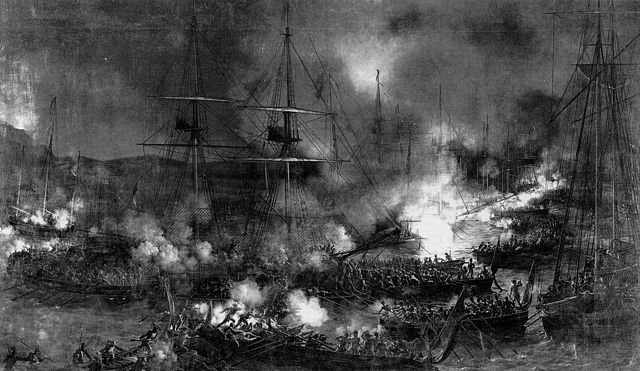 During the occupation of Toulon from August he received a severe head wound whilst defending Fort Mulgrave, and he was then blown out of Lord Hood’s barge and severely burned by an explosion whilst using it to ferry combustibles during Captain Sir William Sidney Smith’s attempted scuttling of the French fleet. He subsequently distinguished himself in the Corsican campaign from February 1794, being responsible for the sinking of the French frigate Minerve 38 at San Fiorenzo by a land-based eighteen pounder, which vessel was later raised and added to the navy with the name of that town. During the campaign Gore received two further wounds. He was promoted commander of the captured corvette Flèche 16 on 22 May 1794 after assisting Captain Horatio Nelson ashore at the reduction of Bastia, and six months later, on 12 November, he was posted to the Windsor Castle 98, flagship of Rear-Admiral Robert Linzee, following her crew’s mutiny against Captain William Shield. Although Shield had been acquitted of cruelty Vice-Admiral Hotham had sensibly relieved him of his command. Gore commanded the Windsor Castle in the Battle of Genoa on 13-14 March 1795, suffering casualties of six men killed and thirty-one wounded. Following the Battle of Genoa he was appointed to the damaged prize Censeur 74, which was under-manned with a very poor crew, and he was ordered to England in company with the Fortitude 74, Captain Thomas Taylor, and the Bedford 74, Captain Augustus Montgomery, together with three frigates and a convoy. This force left Gibraltar on 25 September, but the Censeur was retaken off Cape St. Vincent on 7 October by Rear-Admiral Joseph de Richery’s squadron, although in the course of the engagement Gore’s ship devastated the Barras 74 by inflicting one hundred and fifty casualties. Admiral de Richery offered Gore an immediate exchange and returned him to England with a transport carrying the convoy’s officers and wounded. Following an acquittal at a court martial presided over Rear-Admiral Sir Roger Curtis into the loss of his ship, Gore was appointed to the Robust 74 in an acting capacity for Captain Edward Thornbrough, serving in the Channel Fleet during the early part of 1796. He was at Spithead in July with the frigate Alcmene 36, acting for Captain William Brown, and later in September he commanded the Trent 36 in the North Sea as acting captain for Edward Bowater. In the autumn of 1796 he commissioned the new, experimental, and incredibly swift Triton 32 for service in the Channel, and he soon had three privateer captures to celebrate, these being the Jeune Emilie 10, and the cutters Recovery and Difficlie. After cruising off Brest during March 1797 the Triton was present at the Spithead mutiny which broke out on 16 April. 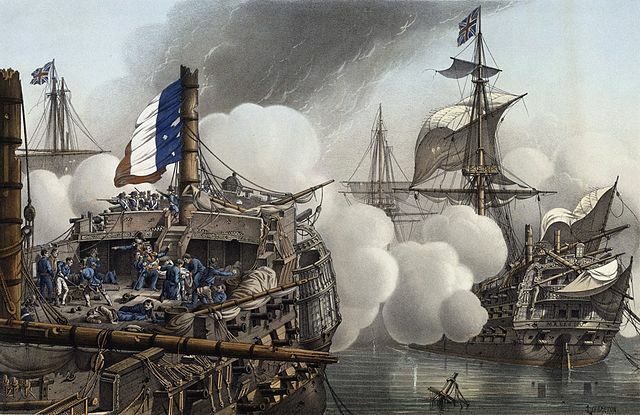 Returning to duty and serving off Brittany and in the Channel, she assisted at the destruction of the Reolaise 20 on 11 August by Commodore Sir John Borlase Warren’s squadron, and she took the privateers Furet 4 off the île Bas on 14 October and Helene before the end of the year. For a short while during the winter Captain Edward Griffith acted for Gore, but having returned to the helm he captured another privateer, the Aimable Victoire 18, in the Channel on 30 January 1799. Continuing in the Triton, Gore was despatched to the Mediterranean with news of the breakout of the Brest fleet on 25 April 1799, and thereafter patrolled the enemy’s Mediterranean coasts in search of the fleet before finding them in Cadiz. After shadowing the French on their exit from that port he returned with the information to England, and was then sent to join Rear-Admiral Sir John Borlase Warren’s squadron in the Channel. Gore went on to receive 40,000 guineas for the Triton’s participation in the capture of the Spanish treasure ships Santa Brigida and Thetis on 16 – 18 October 1799, and he celebrated this windfall, worth about £3.2m in today’s money, by holding a winter ball at Cowley’s Hotel, Plymouth on 10 January 1800. Continuing out of Plymouth, on 10 February he captured the French Vidette 14 off the Black Rocks, but his commission came to an abrupt end when he was injured in the back by a bursting gun that decapitated a lieutenant and killed another man off the Penmarcks on 8 February 1801. After returning to Plymouth and attending a military funeral for his two slain shipmates, Gore was forced to resign his command once Lord St. Vincent, the commander-in-chief in the Channel Fleet, refused to allow him leave of absence. Nelson’s raid on Boulonge in 1801, when Gore was hi flag-captain. Gore was soon back in action, and in April he commissioned another new frigate at Woolwich, this being the eighteen-pounder Medusa 32, which acted as Vice-Admiral Lord Nelson’s flagship off Boulonge during the unsuccessful attacks on that port in August 1801. After patrolling the waters on the lookout for smugglers between the Isle of Wight and Start Point following the Peace of Amiens, the Medusa went out to the Mediterranean in the spring of 1802, and was sent with the British ambassador, William Drummond, to Constantinople. Whilst in Turkish waters Gore learned of the impending declaration of war by Napoleon, and on his own initiative he joined Rear-Admiral Sir Richard Bickerton’s Mediterranean fleet off Toulon, off which port he commanded the inshore squadron until the arrival of Nelson, the new commander-in-chief. For the following year the Medusa was stationed in the Straits of Gibraltar and off Cadiz, with Gore enjoying a curious relationship and hospitality ashore with the Andalucian captain-general during December 1803. On 9 December he captured the privateers Espérance and Sorcier off Cabrita Point, and after Captain Charles Rowley had acted for him in the early part of 1804 he commanded the Medusa at the capture by Commodore Graham Moore’s squadron of four Spanish frigates carrying treasure off Cadiz on 5 October, his command forcing the surrender of the Fama 34. On the 25th of the following month he assisted the Donegal 80, Captain Sir Richard Strachan, at the capture of the Spanish galleon Matilda 34, carrying £200,000 of mercury, which vessel was added to the navy as the Hamadryad. In honour of his services Gore received a knighthood on 21 February 1805, and with the Medusa undergoing repairs he visited Bath to restore his fragile health. Once the Medusa had been refitted he took his godfather, the Marquis Cornwallis, out to India to assume the position of governor-general, departing Portsmouth on 15 April and arriving at Calcutta in July. Three months later he left for home with the remains of Cornwallis following the governor-general’s untimely death on 5 October, reaching Weymouth early the following year in an astonishing eighty-four days. At the end of February 1806 Gore was appointed the Revenge 74 in the Channel fleet in succession to the unpopular Captain Charles Fleeing Elphinstone, whose decision to replace the ship’s Nelsonian chequer scheme he immediately reversed. Serving off Rochefort, he lost several men as prisoners to the French following an unsuccessful cutting-out expedition in the Gironde by his squadron in July. He later assisted Commodore Sir Samuel Hood in the capture of four Rochefort frigates on 25 September, although his dull sailing Revenge played little part in the action. After the Revenge had undergone a refit he then took command of the advanced squadron of Vice-Admiral Lord Collingwood’s Mediterranean fleet off Cadiz in 1807, later being subordinate to Rear-Admiral John Child Purvis. He returned to England with two Spanish commissioners in June 1808 and resigned his command two months later in August because of ill health. In September 1810 Gore took the Tonnant 80 out to Ushant and Portugal, and in April of the following year he assumed command of the inshore squadron off Brest. After being sent to blockade a superior enemy force in the Basque Roads he was badly injured when some tackle fell on him from above, and with the Tonnant being taken in for repairs he once more went ashore to recover his health. Once back with the Tonnant, he was in command of four sail of the line off Lorient from January to March 1812, but having days earlier returned from Plymouth after storm repairs he was unable to prevent Vice-Admiral Allemand slipping out to sea on 8 March, nor could he later prevent the Clorinde 40 running into Lorient after her dash home from an Indian Ocean action on 20 May 1811. The Tonnant was paid off in August 1812. On 27 November 1812, and having been appointed to her three months earlier, Gore rejoined the Revenge 74 which had recently returned from the Mediterranean, taking a convoy out to Cadiz and Gibraltar at the end of December. He assumed the command of the inshore squadron of the Mediterranean fleet off Toulon, and on 8 November 1813 his boats took a French felucca privateer out of Palamos on the Catalonia coast. Gore was promoted rear-admiral on 4 December 1813, and hoisting his flag in the Revenge, Captain William Carroll, he commanded a squadron in the Adriatic until the peace when his ship returned to Portsmouth in August 1814 to be paid off, having been commanded by Captain Henry Hart for the previous two months. On 2 January 1815 he was nominated a K.C.B. and from March 1818 until June 1821 he was commander-in-chief at the Nore with his flag aboard the guardship Bulwark 74, Captain William Carroll. His flag-lieutenant at this time was Thomas Blakiston, who as a sixteen year-old had been captured by the French in July 1806, but had managed to escape three years later. On 27 May 1825 Gore became a vice-admiral, and in 1827 was sent out to the Mediterranean at the instigation of the lord high admiral, Prince William, from where he reported back favourably on the conduct of Vice-Admiral Sir Edward Codrington following the Battle of Navarino. From 16 December 1831 until 30 May 1834 he was the commander-in-chief in the East Indies with his flag aboard the Melville 74, Captain Henry Hart. Sadly this appointment saw the death of his only son, John, a flag-lieutenant, who was drowned whilst attempting to save a seaman. Gore never recovered from the loss of his son, and he died at Datchett on 21 August 1836. He married Georgiana, eldest daughter of Admiral Sir George Montagu, on 15 August 1808 at St. George Hanover Square, Westminster, and in addition to his son had six daughters. One of his daughters married Richard Curzon-Howe, the grandson of Admiral Earl Howe, and thus became Countess Howe. His wife served Queen Adelaide and his nephew, John Walter Roberts, born in 1792, served with him from 1804-11. A protégé of Admiral Hon, Sir William Cornwallis, Gore was incredibly wealthy as a result of his many captures, in particular the Spanish treasure ships. He was a popular officer with his men, keeping a happy ship and ensuring that they received fresh provisions. It has been stated that he had a ‘tyrannical’ disposition’ and apparently the Earl of St. Vincent called him a ‘man of impatient spirit’.